GENEVA - Two United Nations special experts have condemned the Aug. 7 killing in Bangladesh of the blogger Niloy Neel, a supporter of free expression and opponent of extremism of all kinds. Neel is the fourth Bangladeshi blogger hacked to death so far this year. Niloy Chakrabarti, who used the pen name Niloy Neel, was hacked to death with machetes after a gang broke into his apartment in the Bangladeshi capital, Dhaka. He is the fourth blogger to have been killed in Bangladesh since February, The Guardian reported, noting that he had told police of threats against him and requested protection weeks before he died. 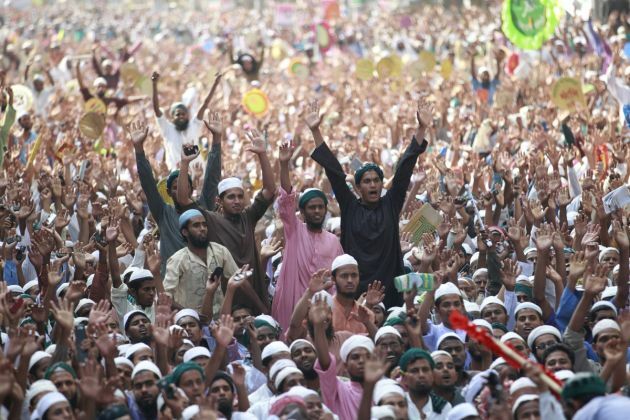 Bangladesh is an officially secular country, but more than 90 per cent of its 160 million people are Muslim. "He was critical against religions and wrote against Islamist, Hindu and Buddhist fundamentalism. He was a founding member of a rationalist organisation," said Asif Mohiuddin Mohiuddin, a secular blogger now based in Berlin. Mohiuddin survived an attack by extremists in Bangladesh in 2013 and spoke to Agence France-Presse by phone, describing Chakrabarti as an atheist "free thinker" whose posts appeared on several sites. The United Nations Special Rapporteur on freedom of expression, David Kaye, and his counterpart on extrajudicial executions, Christof Heyns issued a strong statement. "The violent killing of another critical voice in Bangladesh shows that serious threats to freedom of expression persist in the country," the UN experts said. The special experts called for a prompt and thorough investigation in the killing of the blogger. "It is vital to ensure the identification of those responsible for this and the previous horrendous crimes, as well as those who may have masterminded the attacks." "The organized targeting of critical voices aims at promoting a culture of silence and fear, and affects the society as a whole," the Special Rapporteurs stressed in their statement. "The Bangladeshi authorities must not only continue to strongly condemn these horrendous acts against freedom of expression, but should also ensure that their words are followed by more effective efforts to ensure greater accountability and prevent this kind of violence." Neel was a secular atheist, like two of the other victims and he was from a Hindu, not a Muslim, background, the BBC reported. In February this year, the blogger Avijit Roy was killed and his wife seriously injured in a similar attack. A month later, another blogger, Washiqur Rahman, was also killed in the Bangladeshi capital. In May, Ananta Bijoy Das, who wrote for a website promoting "science, rationalism, secularism, freethinking, human rights, religious tolerance, and harmony amongst all people in the globe," was also hacked to death. The U.N. Special Rapporteurs reiterated their call on the Bangladeshi authorities to consider specific initiatives to prevent the recurrence of attacks against writers and activists. This should include not only the provision of particular physical protections to those who are potential targets for violence, but also open public debate challenging extremist views of all kinds.